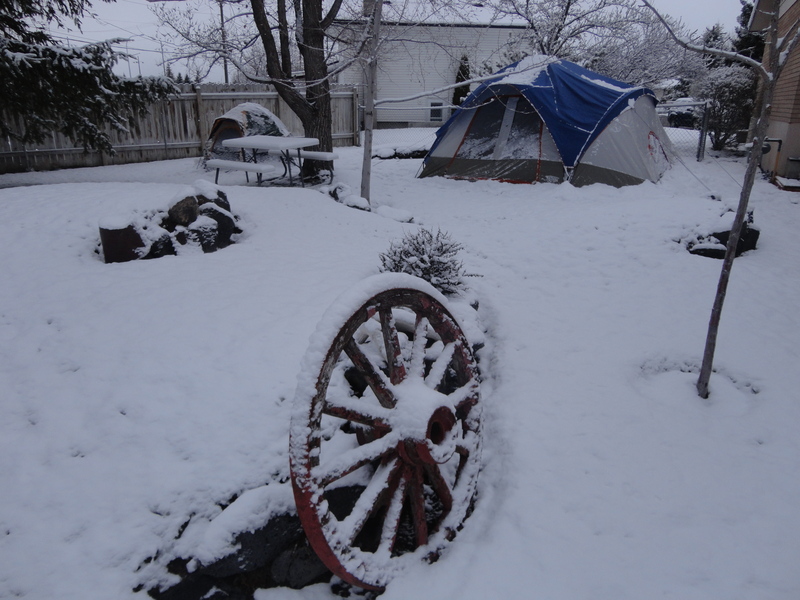 The reason why it snowed in Idaho Falls is because I put up a couple of camp tents in the backyard. Weather in Idaho Falls is a great adventure. Be careful: planting flowers at this time is always a risky undertaking. This entry was posted in lawn and home maintenance and tagged April snow, camping, Idaho Falls. Bookmark the permalink. My youngest son was. He slept in the tent last night.